Blacktown City is a bustling suburban community located approximately 22 miles west of Sydney, in New South Wales, Australia. Comprising 48 separate communities with a total population of 350,000, the city is the second largest city by population in NSW. 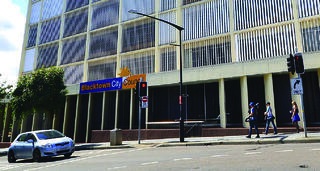 The area is governed by Blacktown City Council which is responsible for all aspects of the city’s day-to-day operation, project development initiatives and legislative activities. Along with the City Council headquarters in the Civic Center, Council facilities also include the Main Works Depot located in the Blacktown City community of Rooty Hill. Council vehicles, heavy machinery and trucks as well as an operational work site for crews and other Depot employees are housed at this location. The Depot supports the operation of numerous city venues and development of zoned and serviced industrial and commercial land. To help maintain usage accountability and eliminate the problem of missing or overdue vehicles, machinery and/or building keys, the Depot recently implemented a key control and asset management system from Morse Watchmans. The new KeyWatcher® Touch is designed to securely store physical keys in tamper proof cabinets, only allowing access to keys by authorized individuals with a verified code, badge, or biometric identification. 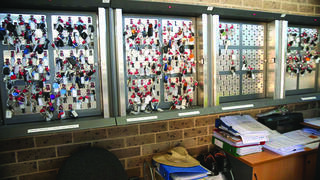 Access to the key cabinet and to individual keys is under the complete control of Depot management and the automatic tracking provides full accountability for who has which key at any time. An important aspect of managing the large Depot is employee productivity and the design of the KeyWatcher Touch conforms to this by making the process of accessing or returning keys faster and easier for employees. Keys can be returned to any of the several key cabinets on site rather than having to return the key to the cabinet from which it was removed. Biometric identification, large, easy to read touch screens, voice cues, and status bar guides help to ensure a fast and easy procedure when accessing or returning keys to the cabinet. Key reservations ensure that staff will have guaranteed access to a vehicle or machine when needed. The system automatically tracks the location of each key stored in a key cabinet or, if the key has been removed, the system can determine who has it out. Access to live information via the desktop or mobile lets department managers see which keys are out, if any keys are overdue, and when keys will become overdue. And for immediate information regarding a key, special alert notifications using email or SMS text provides the data instantly. Network integration of the KeyWatcher Touch with the Depot’s access control and video surveillance system further adds to its ease of use and productivity. User access programming including add/modify/delete cardholders and badge data is managed through Inner Range’s Integriti access control system and all changes are automatically synchronized. Alarms and transactions are passed to the Integriti system via the Depot’s TCP/IP connection. “The single platform for control of our video surveillance, access and key management streamlines the operation, keeps costs down and helps to ensure that nothing falls through the cracks,” adds Mr. Haddad. “We are very pleased with this state of the art system and it has more than met our needs both today and, we expect, going forward. The system was designed and built by system integrator Australian Security Technology (AST), a leading provider of key and asset management solutions in the Pacific region. Working with AST, Ryalex Security, a commercial security specialists company, helped bring the project together for Blacktown City Council.